Connecting a PeaceFair Pzem-004T to an Espressif ESP8266 - PeaceFair Pzem-004T - ESPproMon Smart Meter and Home Automation Community. Google Nest, British Gas Hive and Apple HomeKit on a budget. You scanned the required QR image. You created an account on our cloud based server. Nothing to do with EmonCMS.org that comes much later in the setup. Take a look at this and let us know how it goes. I’m intrigued as to why you didn’t see the account creation screens. Can you post a screenshot of your phone and then we can go through a reset etc. Guide is unclear in py opinion … We need a clear step by step guide. I did get tyhe login when I was testing a week or so ago … my mistake. So yes, I am logged in now but see message above oin selecting the WIFI network to connect to. You say you are only being offered one WiFi network, right? The provisioning guide was written based on Android and iOS is slightly different. 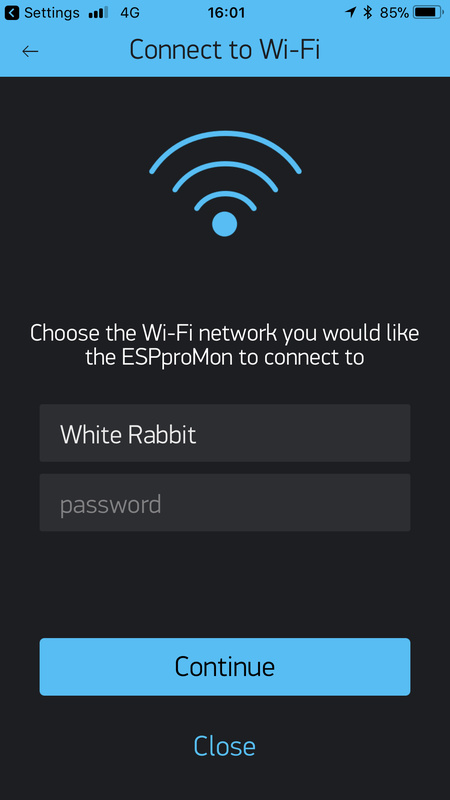 I never use iOS but I do have an iPhone here running ESPproMon purely for test purposes. If need be I could remove the app and check each stage etc. What happens when you type in the WiFi network that you want to connect the ESP to and enter the password? And now it also says “firmware is now registered” and the app emailed my token so looks I am set ? Please remove the API key by selecting the same parameter again and typing one character. Terminal should confirm the API key has been removed. The EmonCMS is an advanced feature that you are not set up to use yet. You have to create feeds in a particular way with this 3rd party server that is not directly part of ESPproMon. 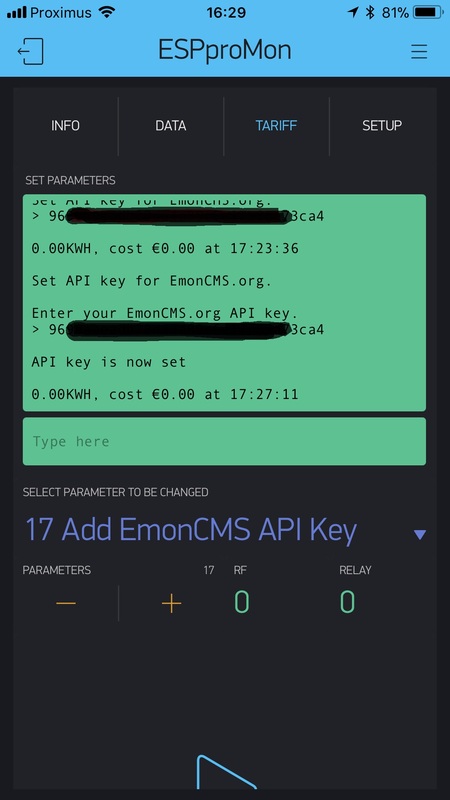 I will provide a screenshot of the settings you require on the EmonCMS network in the coming days. Okay … have to go now but will continue setting up tomorrow ! Added some of the basics of setting up EmonCMS at ESPproMon Integration but ensure ESPproMon is fully functional before moving on to this advanced feature.